At Mobius, we pride ourselves on Integrity, Honesty and Authenticity, traits rarely found within industry. 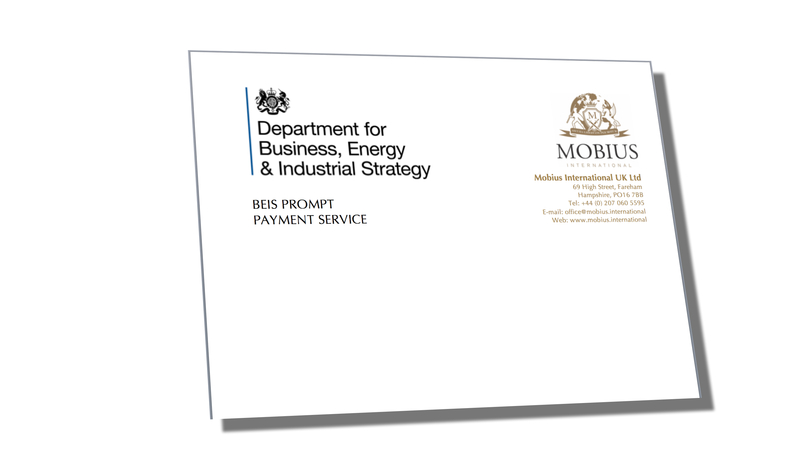 To highlight our devotion to excelling in standards, we have been approved by the HM Government’s Prompt Payment Code, meeting the payment conditions set down by HM Department for Business, Energy and Industrial Strategy. Mobius International UK Ltd. have met the standards for payment practices and best practice. The Code covers prompt payment, as well as wider payment procedures. 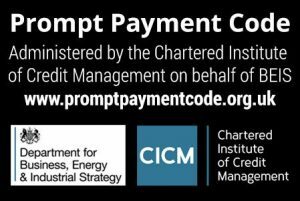 Compliance with the principles of the Code is regularly monitored and enforced by the Prompt Payment Code Compliance Board. The Code Compliance Board has the remit to investigate and, if need be, act when a term in a contract exists or changes in a way that a supplier claims to be grossly unfair. In becoming a signatory to this code, Mobius are committing to continue to ensure all supplier payments are prompt and within the agreed terms. We fully believe in the principals of the code, to make our payments within the terms agreed at the outset of the contract, without attempting to change payment terms retrospectively and without changing practice on the length of payment for smaller companies on unreasonable grounds. Additionally, we undertake to avoid any practices that adversely affect the supply chain.